Transparent surgical tape, a type of medical tape, made of PE sheet coated with medical grade adhesive (usually hot-melt adhesive or acrylic adhesive). It is hypoallergenic, perforated, latex free, easy to tear, good sticky. It is transparency allows easy monitoring, enhances penetration of topical medications, well tolerated on dry and clean skin, easy to tear and stretch to accommodate for movement or swelling, and easy to handle with gloves. 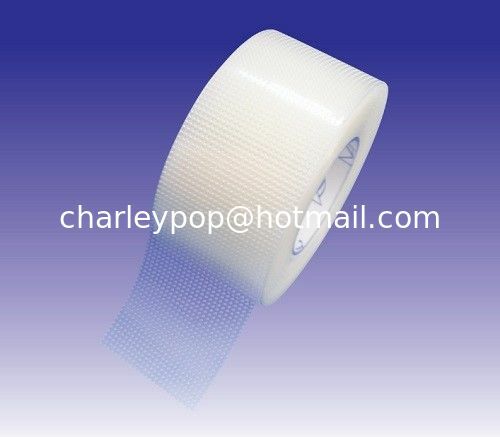 It is for taping and banding use. Specially a roll with plastic spool and cover as individual pack, with/out a paper box per roll.